A beneficiary is someone who is entitled to benefits in the event of someone else’s death. Beneficiary designations are required on numerous types of financial accounts, such as retirement accounts and life insurance policies. There are two types of beneficiaries, primary and contingent. Depending on the type of account that’s paying out such as a traditional IRA vs. a Roth IRA, beneficiaries might have different tax responsibilities. What’s the Difference Between Primary and Contingent Beneficiary? The primary beneficiary on an account is the first in line to inherit the money in an account when the owner dies, or in the case of a life insurance beneficiary, the death benefit of the policy. The contingent beneficiary is next in line, after the primary beneficiary. If there is more than one primary beneficiary, the contingent beneficiary is not entitled to any proceeds unless all of the primary beneficiaries predecease the contingent beneficiary. For example, if there are two 50/50 primary beneficiaries on the account and one of the primary beneficiaries dies, the remaining primary beneficiary will receive 100 percent of the proceeds. Only if both primary beneficiaries either pass away, are unable to be located or refuse the inheritance will the contingent beneficiary receive any proceeds. It’s important for account holders to name both primary and contingent beneficiaries on an IRA for a few reasons. Naming beneficiaries ensure that the proceeds of the account end up in the hands of those that the account holder desires. If an IRA owner passes away without naming beneficiaries, the IRA custodian may name the beneficiary. In many cases, this means that the proceeds are paid out to the IRA owner’s estate. This can subject the account balance to unnecessary taxes and rob the beneficiary of the tax-deferred benefits of keeping the money in an IRA. Naming a contingent beneficiary is important because IRAs are by nature long-term accounts. It’s entirely possible that the primary beneficiaries predecease the original IRA account holder; human nature being what it is, beneficiary paperwork is not always updated immediately. Having a contingent beneficiary at the time of account opening can help ensure that there is always a beneficiary attached to the account. It is made more than five years after the start of the first taxable year in which a contribution was made. It is made on or after the account holder turns 59.5. It is made due to the disability of the account holder. It is made to a beneficiary after death. It is made for a first home, up to $10,000. Is a Roth IRA Distribution Taxable to a Beneficiary? Per IRS rules, distributions of Roth IRA funds to a beneficiary are generally tax-free. However, the distribution must meet the requirements of a qualified distribution, meaning the Roth IRA must have been established for at least five years. Beneficiary distributions also avoid the 10-percent early withdrawal penalty that is normally assessed on distributions made before an account holder turns age 59.5. Non-spouse beneficiaries do not have to take an immediate distribution of the entire inherited Roth IRA proceeds. However, the entire interest in the Roth must be distributed by the end of the fifth year after the owner’s death, or on an annual basis over the life expectancy of the beneficiary. The IRS publishes tables showing anticipated life expectancy by age. For example, if you’re age 50, your life expectancy according to the IRS tables is 34.2 years. You must divide this number into the year-end account balance of the IRA to determine your required annual distribution. If you’re 50 years old and you inherit an IRA worth $102,600, your first year’s distribution must be at least $102,600 divided by 34.2, or $3,000. Rules are slightly different for spousal beneficiaries, who are allowed to roll over an inherited IRA into their own IRA. Roth IRAs are different than traditional IRAs in that mandatory distributions are not required when an account holder turns age 70.5. Thus, a spousal beneficiary can keep inherited Roth IRA proceeds in their own Roth IRA indefinitely. 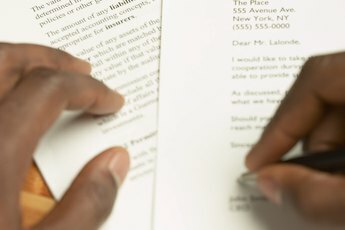 When Can a Policy Owner Change a Revocable Beneficiary? A revocable beneficiary, by definition, can be changed by the account holder at any time. However, these changes must be documented. 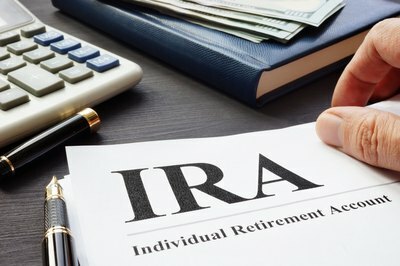 To change the beneficiary on a Roth IRA, an account holder must submit the appropriate instructions to the IRA custodian. For some firms, this will require filling out forms and signing them. For others, beneficiaries may be able to be changed online or over the phone. In a community property state, an account holder’s spouse must be the primary beneficiary. This provision can only be overridden with the written consent of the spouse. If you name someone as your Roth IRA beneficiary, the process seems straightforward: Upon your death, the IRA custodian will pay out your account to your beneficiary. But what if you also have a will or trust, and those instructions conflict with your beneficiary designation? This can easily happen, as many people set and forget their beneficiary designations when they open an IRA and never revisit them, even after drafting estate-planning documents such as wills or trusts. In the case of beneficiary designations versus wills and trusts, beneficiary designations triumph. For example, if you name your brother as the beneficiary of your IRA, but your will designates your son as your heir, your brother is the one who will receive your IRA proceeds. There is one exception to this rule. If you live in one of the nine community property states, your spouse is entitled to the full proceeds of your IRA when you die, regardless of who you name as your beneficiary. This can only be overridden with the written permission of your spouse. It's important to remember to keep your beneficiary designations up-to-date because life is constantly changing. If you first opened your Roth IRA 20 years ago, for example, it's entirely possible that one or more of your primary or contingent beneficiaries has passed away. Another common potential complication is if you remarry but still have the name of your original spouse listed as your beneficiary. Unless you live in a community property state, in which case your new spouse becomes your rightful heir, your former spouse remains legally entitled to your IRA assets upon your death. IRS: Publication 590 -- What Are Qualified Distributions? FindLaw: Marital Property -- Who Owns What? Investopedia: Can a Spouse Who Is Not Named as a Beneficiary Receive Assets From an IRA? Can You Contest a Primary Beneficiary on a 401(k) if You're a Contingent? Can a Child Inherit a Pension? Does a 401(k) Get Passed On to Children? Can a Beneficiary Waive Their Rights to an Inherited IRA to Another Person?